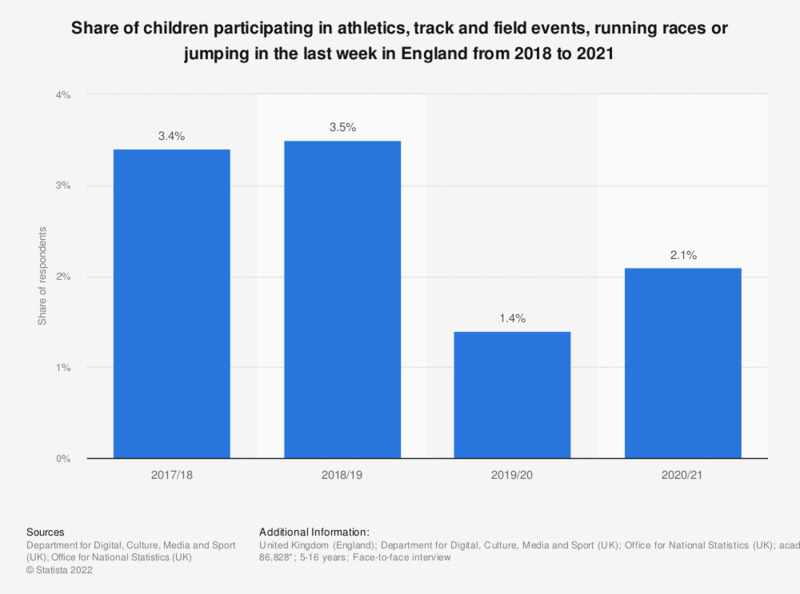 This statistic illustrates children's participation in athletics, track and field events, running races or jumping in England between 2010/2011 and 2017/18, split by age. Over this period, the share of 11 to 15 year olds participating in athletic sports increased. According to the 2016/17 survey, around 21.9 percent of 11 to 15 year olds interviewed had participated in athletics in the last 4 weeks, compared to 14.3 percent of respondents to the 2010/11 survey.